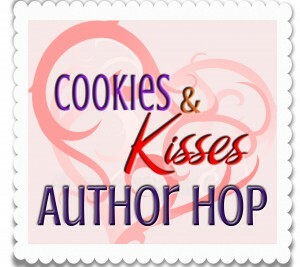 Cookies & Kisses Blog Hop – Sweet Treats! *Winner Alert* The winner is Brenda Rumsey! Congratulations, Brenda – please send me your snail mail details and I’ll get your prize out to you! Since it’s the holiday season, if Annette Tomnitz, Helen Sibbritt and Elizabeth Frank would like an exclusive Anna Sugden keyring, please get me your snail mail details and I will pop one in the post to you! Cookies & Kisses – perfect for the festive season! It’s the one time of year we can indulge in both. I’m delighted, this year, to be taking part in dear friend and fabulous Blaze author, Tawny Weber‘s Cookies & Kisses Blog Hop. There are lots of prizes to be won from lots of great authors. And everyone is a winner because you can download a copy of the wonderful Cookies & Kisses Recipe Book for FREE here! For my part, I included an easy, but yummy recipe called Sweet Treats Shortbread. It’s called Sweet Treats, because that’s the name of the personalised cookie business that Lizzie Martin runs in my holiday short, A Perfect Party. 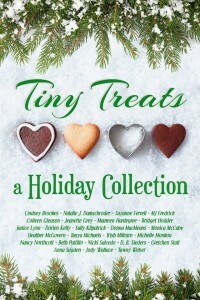 A Perfect Party, a micro-romance about Lizzie and her special Ice Cat, Taylor ‘Mad Dog’ Madden is available in Tiny Treats: A Holiday Collection. This is a wonderful assortment of over two dozen bite-sized holiday romances by award-winning and best-selling authors – ideal for the busy holiday season, when you want to indulge in a quick romantic read in between all the rushing around! Best of all, Tiny Treats is FREE on Amazon. To get your copy, just click on the cover to the right, which take you straight to the Amazon page. I promised prizes – today only, I am offering a signed, advance copy of A Perfect Catch (not available in Feb 2015) and an exclusive NJ Ice Cats Notebook to one lucky commenter who answers the question on my Facebook Author page. That’s not all! If we get up to 500 likes on my Author Page, I will have a second drawing for a signed copy of A Perfect Catch! So, what are you waiting for? Get hopping! This entry was posted in News and tagged A Perfect Catch, A Perfect Party, Cookies & Kisses, New Jersey Ice Cats series, Recipe, Tawny Weber, Tiny Treats on December 11, 2014 by annasudgen.